The information you are viewing for this event is from Saturday, Sep 1, 2018. When: Event has passed. Watch this page for updates. The Adirondack Independence Music Festival returns to the Charles R. Wood Festival Commons this fall: September 1-2, 2018. This year’s event will feature performances by Pigeons Playing Ping Pong (2 sets), Keller Williams, Badfish: A Tribute to Sublime, Pink Talking Fish, Lucid (2 sets), Lespecial, Formula 5, Jen Durkin & The Business, Swift Technique, Steal Your Peach Band (2 sets), Goose, Gratefully Yours, Root Shock, Let’s Be Leonard, The Melting Nomads and LDF: Ladies Drink Free, with more acts to be announced, including a big headliner announcement in late July. 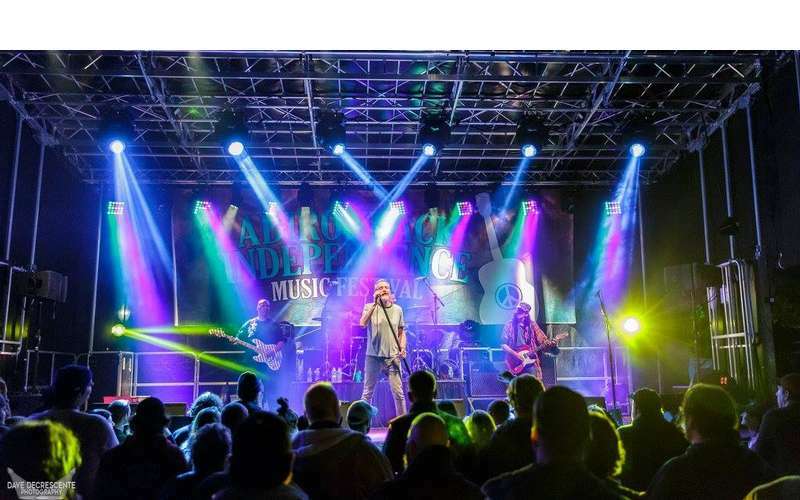 Music at the festival commons is scheduled to go from 1:00pm – 11:00pm across two alternating stages followed by late night performances taking place at King Neptune’s Pub until about 3:00am. Admission to the King Neptune’s shows is free to festival attendees 21+ and music at the festival commons is open to people of all ages. In addition to lots of great music, the festival will also feature a variety of food and craft vendors as well a great view of the Lake George fireworks on Saturday evening. $70 Early Bird Weekend tickets are now available at eventbrite.com. There is also a special VIP option available, which includes admission to both days of the festival, a buffet dinner each night, free snacks, half-priced adult beverages, $1 water / soft drinks, a private viewing area (with private bar) and access to private bathrooms. For those of you who are able to head up early and make a full weekend of it, there will be a special, multi-venue, festival pre-party, which will be free of charge both to festival attendees and to the general public. Currently scheduled to perform are The Funky Dawgz Brass Band, who will be performing at Shepard Park in downtown Lake George and Sophistafunk, who will be performing later in the evening at King Neptune’s. Additional acts are still scheduled to be announced for performances at both Shephard Park and King Neptune’s.